Hey Brandi! Digger and Rexella look like they are having fun. Thanks for the screen shots from court.I know you didn't get much sleep the past couple of days. Why, thank you! I think you are cute, too! Sorry it made him cry, but maybe that is good, in a way. Getting through the grief so he can remember the good things soon. Thank you for sharing, No rose. Thank-you, it is good to cry, always felt that way, it helps. Will you please add a pair of fluffy sparkly wings on Haleighs Guaduation photo with the white cap? I know you are saying to yourself, what is NOW seahorse! I am not great at wings, but here you go. and sparkly, how do you do it? You must have a magic wand. May I post Haleigh's photo with wings when RC and MC are sentenced? I hope it would be appropiate. I love Haleigh's artwork, you put so much thought and love into your work. I am in awe of your imagination. When I make an avatar for you, you are free to use it whenever you wish or not use it if you do not care to use it. How cool is that? Beautiful! Thank-you, I wuv the sparkles. I am saving the new link. Could you please post the little "Beret monkey with the Violin"? Thank-you for all time, patience and imagination. Brandi, I have decided to keep Zoe's picture just the way you have created it, if possible, could you change the background for holidays and seasons, thank-you. I just don't have the heart to take the avatar away, I love that picture. Do you think I can ask if you can make me an avi using my monkey pic? Poor CBB has been so busy with what she calls curve balls I don't feel right asking her. God knows I can barely turn on the computer much less make an avi, lol. So do you mind making one for me? Just something to last through the spring into summer so I don't have to bother anyone for a while. If you are busy as well that is ok, no problem at all. I can just leave her as is. TIA! I don't have any pictures of your original monkey, but I'll see what I can reconstruct from the avatar you are using now. No promises that it will be award-winning, but I'll do the best I can. I'll post later tonight when I am done. 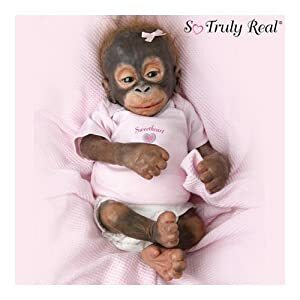 Well, I did a little research looking for your original monkey and found out it is a doll, named Little Umi! I did not find an image of it of good quality though, so I ended up sort of redrawing you. These are two designs I came up with for spring/summer with your monkey. Both have animated water, one at a babbling brook and another at a waterfall. I added tiny flowers and grasses to make them more seasonal. If you don't care for any of these, let me know and I'll design you a different one or two. No rose, I think that is a wonderful way to honor and celebrate Zoe's life. I had made you some Fourth of July designs using the same image of Zoe as you requested some time ago. I am not sure, but I think you are saying no more clothes for Zoe? Just her lying down. Am I right? Let me know, please. I hope you and your husband are doing okay. I think of you daily. I am glad you enjoy them! Thank-you, Brandi, so kind of you to post both Monkeys. positioned on his head. I like both Monkeys, my all time favorite (to this day) is the musical monkeys playing the violin. How can a little avatar give so much peace? Thank you so much, she was my best friend, and I just can't take the avatar down, I thought that I would have to, but now just can't. Page created in 8.479 seconds with 19 queries.